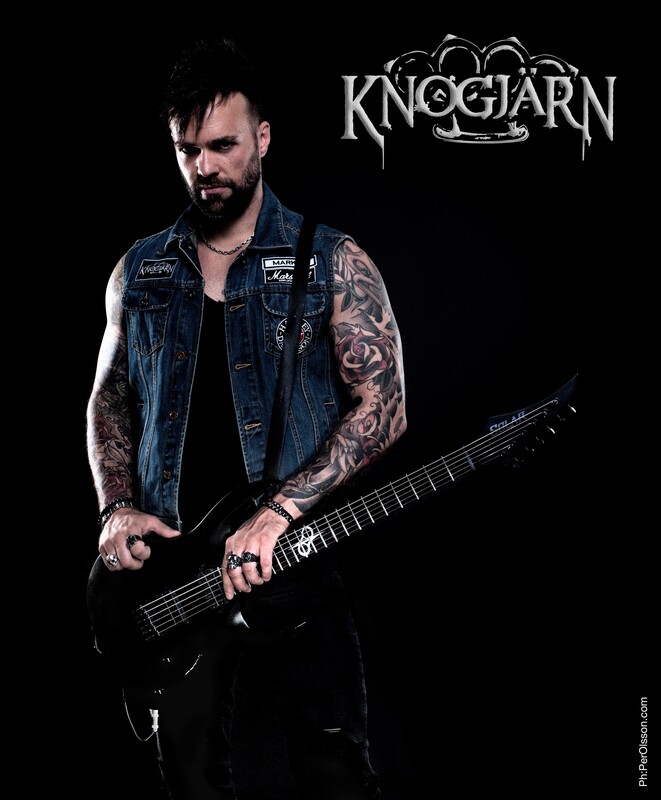 Markus Hurtig is the guitarist of KNOGJÄRN which is a Swedish metal band based in Karlstad. 2015 they released their first single “Knogjärn” which was followed by their first full length album “Våldet i ditt Paradis”. The year that followed, they released the single “Fly för ditt liv” which got lots of positive reactions and spread on social media. 2017 started with a bang through a cover of REFUSED’s song “New noise” but with Swedish lyrics with the title “Ni är i vägen” featuring Martin Westerstrand (LOK, Lillasyster). On the 8th of June they released their second full length album “Marscherar och Förstör” in connection with their celebrated gig at Sweden Rock Festival. In 2018 KNOGJÄRN released another cover, this time of 1G3B’s “Ja älskar de (så inet fitton)” which got the name “Gulligull”. The song became Finland’s most viral song during a couple of weeks on Spotify. KNOGJÄRN is currently gigging and working on new songs and are being booked through Skrikhult Productions.